The Hybrid glue system from Contour solves the stickiest skin problem. That is designing a glue strong enough to adhere to the backing but not so strong that you can’t separate a skin from itself. Contour achieved this goal by using multiple layers of glue. An especially sticky formula rests against the skin which is covered in another layer of less tacky glue that keeps the interface manageable. The resulting Hybrid glue system is easy to use and reliable. It’s also easy to maintain, since you can simply wash the skin with detergent to refresh the stickiness. Attached to the fancy adhesives is a mix of fibers that also blends multiple goals: grip, glide, and durability. This is achieved with Contour’s signature mohair woven with some rugged nylon. The Hybrid Mix skins offer the benefits of newer glue formulas with the reliability of traditional fare. Hybrid glue technology offers good adhesion even in low temperatures. Glue is easy to pull apart and can be washed to refresh the tack. 70% mohair / 30% nylon blend is a good all-around fiber formula. 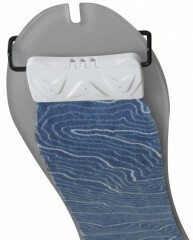 Attached adjustable tail clips fit securely on just about any ski out there. Vario front clips can adapt to various width skis, tip holes, slots, etc. Universal kits are 195cm which you cut to length and add the included tips. 38mm and 50mm are great for Nordic skis or long flat approaches. Included mesh skin savers preserve the glue for long-term storage. Also includes a carry bag and a trimmer for customizing the side cut. Additional brackets available, listed as Vario Buckles. Chad- We dont have the correct size left for you but we do have the Atomic Hybrid multifit kits which would work, using the same Hybrid glue. The split skins are a hassle to deal with outside of your living room. Grip is going to be less with the splits as well. Greetings. I have 176 long Hannibal skis. Will the 115 mm 161-168 cm model be long enough? Hi Tobias, unfortunately not! You'll likely want the 169-176cm length. Hi Paul, both waxes have their place. I like to use the liquid as a pre-treatment to help with glide and prevent saturation and the bar wax as a field treatment when glopping becomes a problem. Thanks Nate..figured that might be the case...so i bought them both! And as far as how much to use...I suppose I'll just "know" by feel? Hi Paul, I'd say to make sure you cover the skin thoroughly but not to excess. Hey Paul! To reflect current stock, I'd go with the 120m x 169-176cm as that will give you full coverage tip to tail, but ideally the 110mm width would be the one I'd go with to optimize glide, especially while breaking trail. I've got some new skis coming; 131/99/111 178's. Can you suggest the correct size? 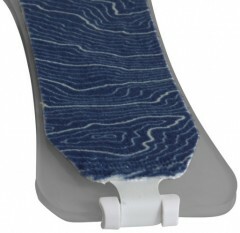 Hi Kai, the 110 Universal kit will be a nice balance of grip and glide. Full coverage in the tail where it's most important but leaving some base exposed near the tip for glide. Hey Paul, we got the majority of our skins replenished at the beginning of this season so whatever the latest version Contour has available in the US is what we've got on the shelves! what do a pair of 110mm wide, 180 cm long skins weigh? Hi Ken, they are about 320 grams uncut, full length (195).